St Dunstan’s School's catering services is ‘in house’. The catering team understand the important connection between a healthy diet and a student's ability to learn effectively and develop well in all areas of the school curriculum. To support this, the catering team have created a menu that is healthy and nutritious suiting all needs and tastes. The menu may be subject to change at any time, dependant on suppliers/product availability. 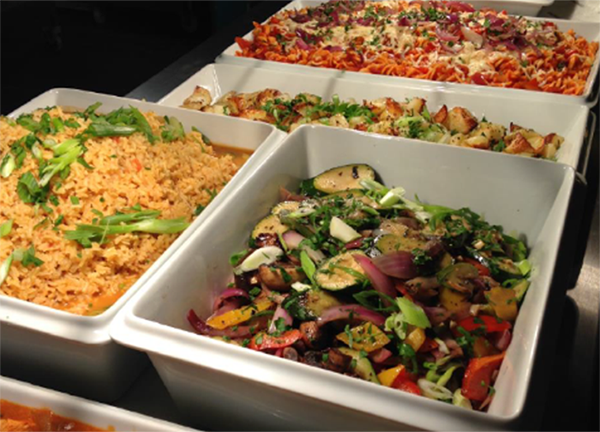 We use a cashless catering system in order for students to purchase food at break and lunch time. No cash will be handled by the catering staff. Payments can be paid into a students account via Parentpay or there is a cashloader in the dining room for cash to be added to their account this way using either a pin or biometric thumbprint. For information on the cashless system and permission form click here.